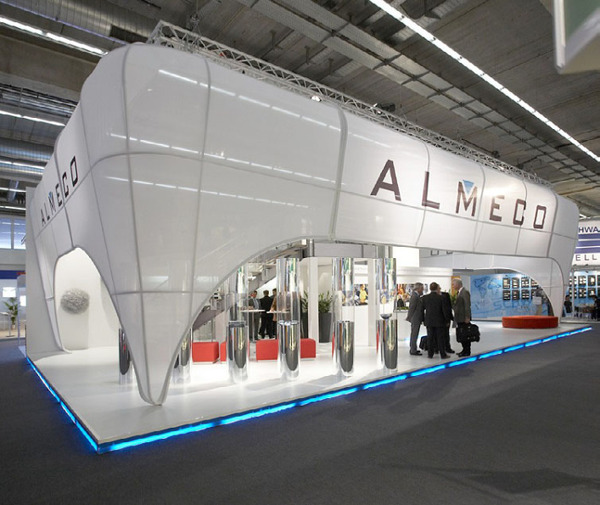 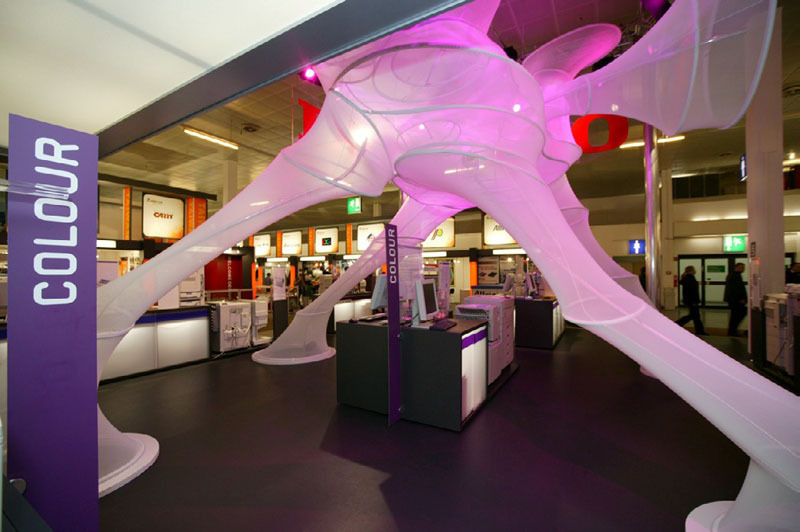 Here is a selection of custom exhibits and architectural installations of which we are especially proud. 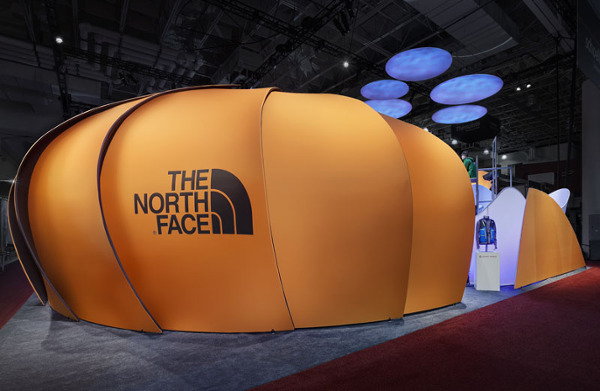 The North Face at Outdoor Retailer 2011 This 100' x 60' space won Best in Show, and a MOD AWARD for Best Green Design. 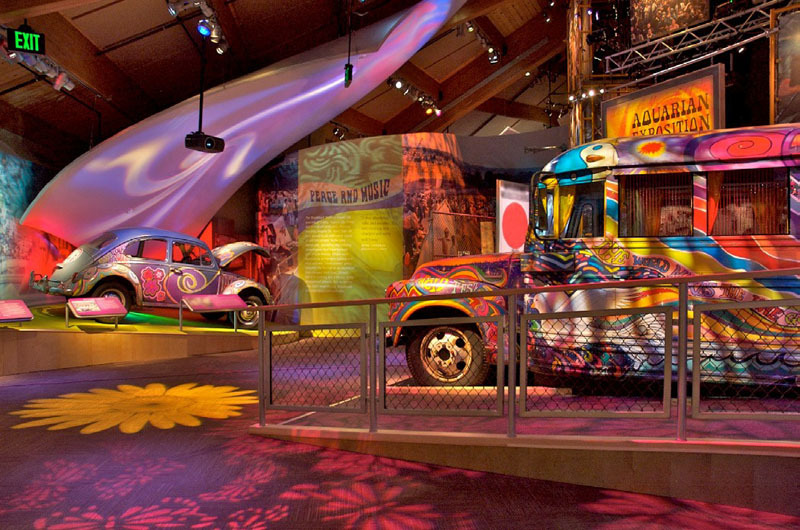 Large psychedelic shapes loom overhead to conjure a setting and dampen sound with acoustic liners. 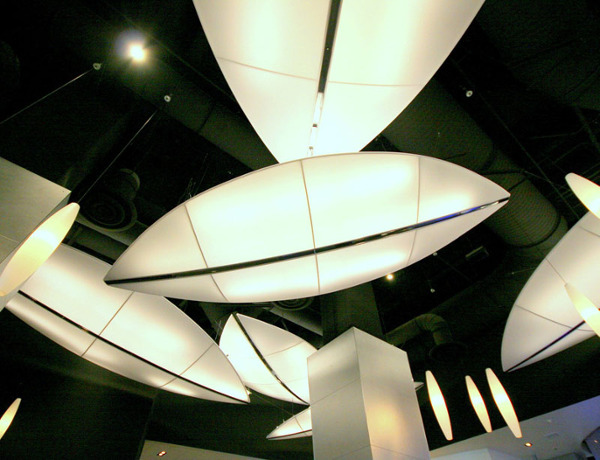 The architect designed two types of of large, sculptural lighting elements, using fabric as the light diffuser. 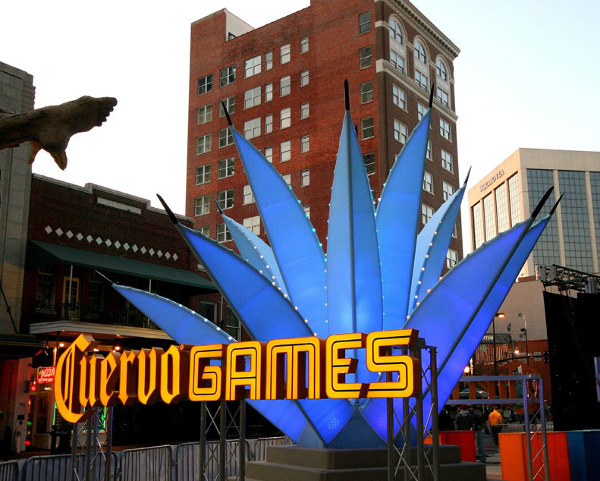 Our part of the project was to produce a giant Agave cactus (the plant from which tequila is made, and the Cuervo logo) as the visual centerpiece of the event. 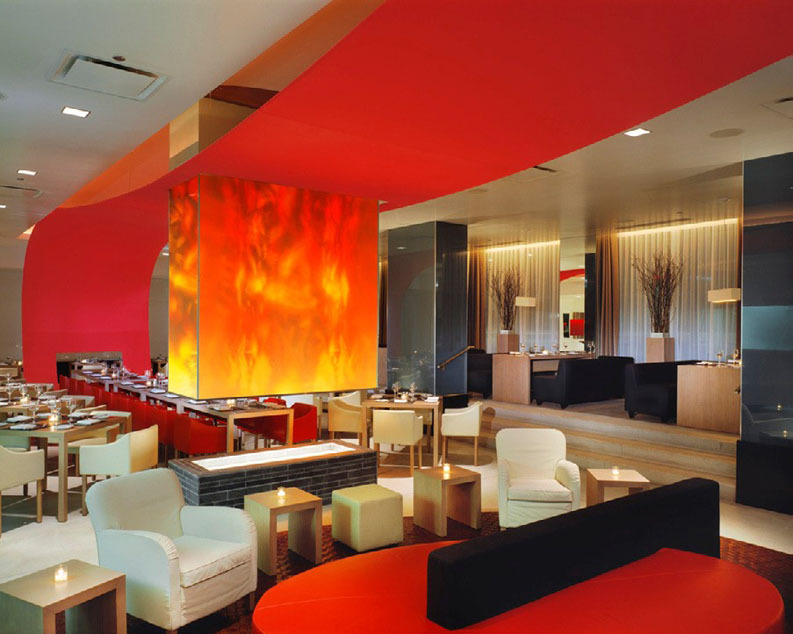 The Wave Restaurant design by Studio GAIA, features a giant red fabric wave to create the theme. 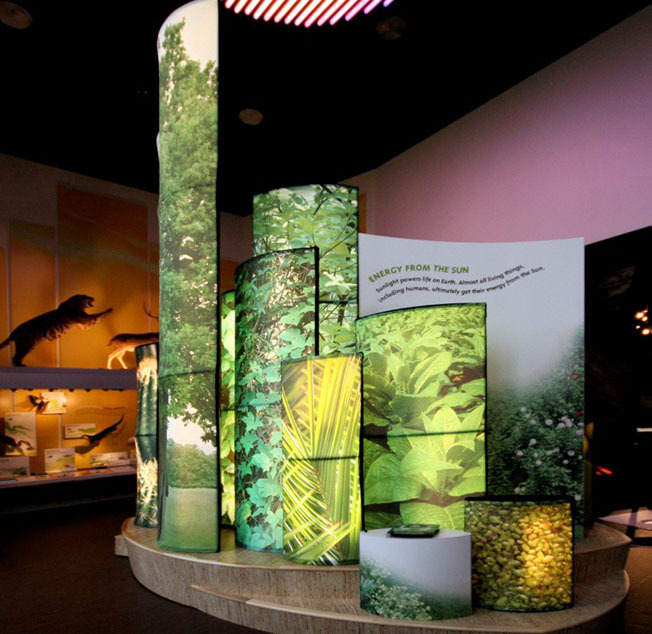 A forest of giant curved "lightboxes" creates an artistic view of the foliage. The clean modern lines of this exhibit designed by Xilos help reflect the values of this precision lighting, solar, and reflective materials company. 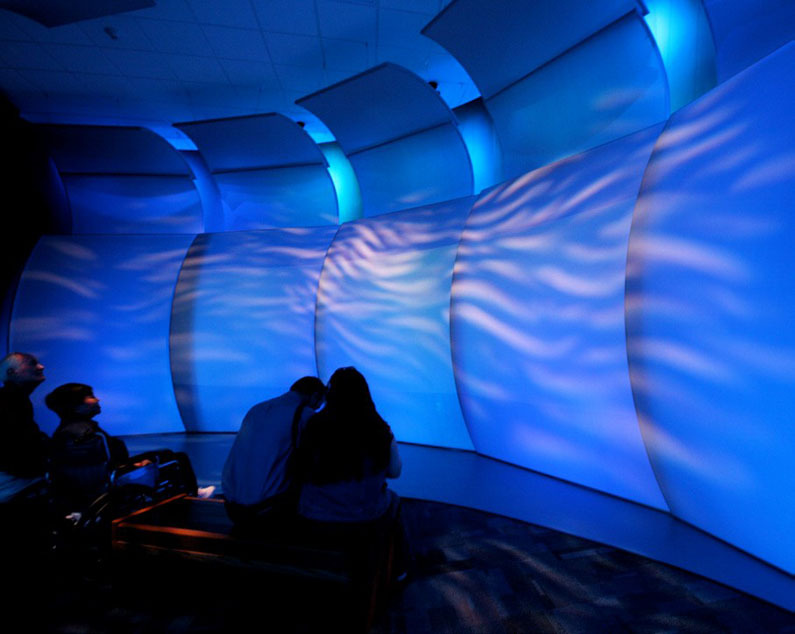 Transformit engineered and fabricated fabric components that help theater visitors experience the sensation of being underwater in a sinking ship. The organic shape symbolizes the design symbiosis of nature, color, transparence, flexibility and high technical requirements. 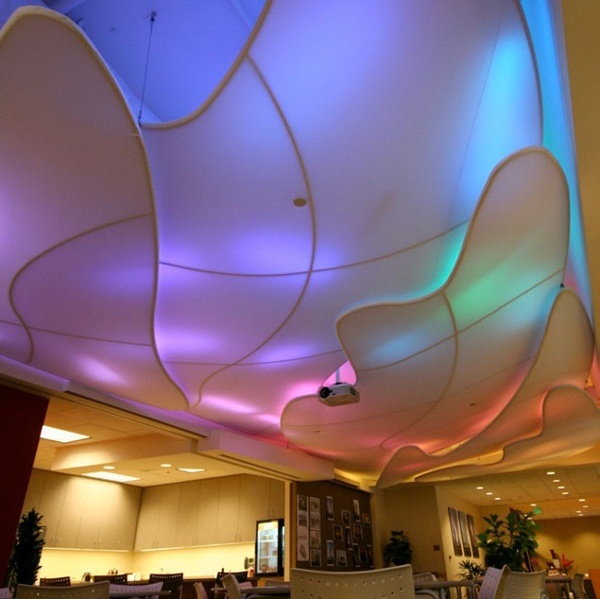 Transformit was asked to create a cloud-shaped ceiling that acts as a light diffuser for ever changing LED lights.